According to a report from Digitimes, HTC is looking to re-enter the tablet market with a new 7 or 10 inch model by the end of 2012. 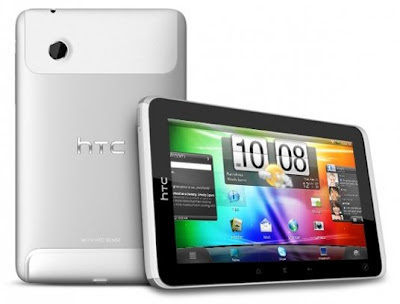 HTC had previously paused its tablet efforts after the failure of its 7 inch Flyer and 10 inch Jetstream models. The move seems to be driven by the success of Asus, with the co-branded Nexus 7 tablet. HTC had previously declined Google's offer to produce a Nexus tablet, as it considered the price point unattractive. But after seeing the success of low priced tablets, HTC has apparently re-considering its pricing strategy. HTC would be smart to hit a $199-$249 price point for 7-inch tablets or even aggressively target the 10-inch tablet space, with a $299 price point. Utilizing the Tegra 3's Kai design should enable them to reach that price point quite easily. HTC is unlikely to be a price leader in this segment as I expect Amazon to hit the $299 price point, with a 10-inch Kindle Fire. But attaining price parity should put them in a much better position in the market, compared to their initial tablet efforts. Wow, that's really great that HTC is going on to re-enter the tablet market! Yea, more competition, more consumer options. Q4 should be a very interesting quarter for the industry. Yes, it is the time to move on for the HTC. Tablet market is growing well. The Taiwanese tech giant has become a big name in the smartphone industry, yet it has to gain a popularity in the tablet world.